You may see this even when you haven’t changed your Apple ID when downloading or purchasing apps on your Mac. The Mac App Store (MAS) registers downloaded apps—paid and free—to the Apple ID associated with the store at the time of download. Most people only ever log in with a single Apple ID for app purchases or retrievals, and thus all apps installed on their Macs remain correctly licensed to that Apple ID. 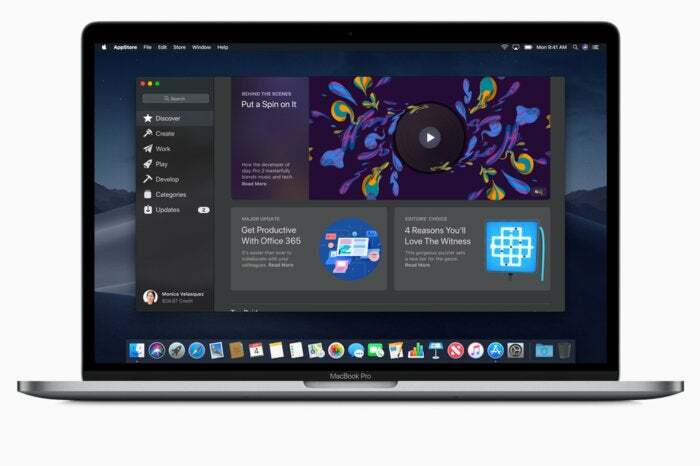 However, it’s possible even using a single Apple ID that you will see an error when you attempt to update certain apps that reads, “Update Unavailable with This Apple ID.” This seems to happen commonly with Apple’s productivity apps: Pages, Numbers, and Keynote. The solution is slightly annoying, but not onerous. Delete the apps in question from the Applications folder. In the Mac App Store, make sure you are logged into the store using the Apple ID you routinely use for purchases by selecting Store. If it shows your Apple ID in Show My Account, then you’re set. If you’re not logged in, select Sign In. If you’re logged into the wrong account, select Sign Out, and then Sign In. Re-download the apps that prompted the error. Pages, Numbers, and Keynote are free, so there shouldn’t be a new purchase or other dialog that appears. Now, the next time updates appear for these apps, you should be able to install them without going through this process again. This Mac 911 article is in response to a question submitted by a Macworld reader.